Plumbers aren’t professionals homeowners need on a regular basis. When emergency strikes, however, it pays to seek the right professional for the job. When water is spurting like a geyser or a room is flooded, homeowners are paralyzed. They can’t think how to choose the right plumber for the situation. Part of that paralysis is the realization that broken plumbing could result in other failures in the future. The health and safety of the family are also at risk. In an effort to help homeowners, we’ve compiled a few points to consider when searching for the right plumber for your situation. Newly established professionals run up against the brick wall of not enough time in business. They might have been a straight A student, aced all their exams and apprenticed for an established plumber, but they’re still the new kid on the block. Check to see if the plumber you call has been established for some years. Professionals in many lines of business are required to have a license to practice their specialty. 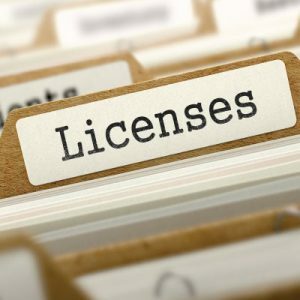 Plumbing professionals, including subcontractors and journeymen or apprentices, should be licensed by the state. No plumber worth his salt will lack insurance. Liability as well as worker’s compensation is important for the homeowner’s protection. In some states, plumbers might also require bonding, so be sure to check on this. Homeowners would sooner remain at home than let someone with no good references babysit their children. The plumbing is every bit as important to a homeowner as a trusted babysitter. The references of any professional substantiate their expertise and quality. Moreover, without good references, they’d be out of business. Check those references.